What do you do if you're a revered British group that after 10 years and 8 albums has acquired a fanatical cult following, on both sides of the Atlantic, but nothing more? If you're XTC, you ignore all warnings of potential commercial suicide and release a double album. Entitled Oranges and Lemons, and featuring such intriguingly titled songs as "Poor Skeleton Steps Out," "Pink Thing" and "Scarecrow People," album No. 9 was released this week by Geffen Records. "It's harder, faster and slicker than our last album (Skylarking from 1986), which was produced by Todd Rundgren," said XTC leader Andy Partridge. "Todd's a quiet sort of chap, so the record ended up having a pastoral, paisley kind of feel to it. For the new record, we brought in Paul Fox, who's produced albums for Boy George and Yes. The result is more like a psychedelic dragster-very fast and flashy, with lots of chrome and huge flames coming out of the back. "I suppose it is a bit of a risk releasing a double album, but we're the sort of band that'd rather put out a body of work than dribs and drabs over a couple of years. As it is, we had to be persuaded not to record a triple album." Partridge, guitarist Dave Gregory and bassist Colin Moulding had amassed about 30 songs before beginning the album and had to narrow the final selection to a mere 15 tracks. But if you think that such an ambitious project from a cult band is risky, consider this: XTC has no intention of helping their latest release by going on tour. "We stopped doing live shows back in 1982, basically because I hate performing and I hate show biz," Partridge said. "Despite the fact that I used to get very drunk and ham it up on stage, I never liked that whole show biz thing of having to be fantastic to order, and I couldn't do it very convincingly, either. "In the end, all the touring wound me up physically and mentally to such a state that I began dreading having to perform, so I just stopped. It's strange, because before 1982 we toured virtually nonstop, all over the world. Since then, we've hardly been anywhere." But then XTC always has blazed its own path. When the original lineup of Partridge, Moulding, keyboards player Barry Andrews and drummer Terry Chambers first appeared in the aftermath of the London punk explosion in the late '70s, they impressed observers with their warmth and wit while their contemporaries sneered and spat. By 1979, they had conquered fans and critics with their first Top 20 hit, "Making Plans for Nigel," from their acclaimed Drums and Wires album, and began several years of relentless touring across Europe and America, as well as to such farflung places as Venezuela, New Zealand and the Far East. 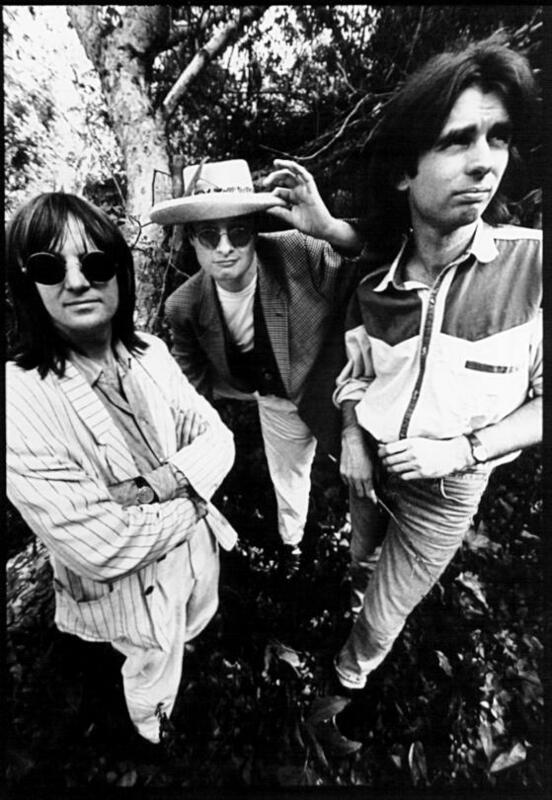 But by 1982, the pressure had begun to take its toll, and with the release of English Settlement, and the departure of Chambers (Andrews had already been replaced by guitarist Gregory), XTC decided to retire from live shows altogether and instead concentrate on studio work. Since then, they have released a series of critically praised albums, including the introspective Mummer in 1983, the bluesy Big Express in 1984 and 25 O'Clock the next year. "The ironic thing is that since we stopped touring, our records have sold better, and I definitely feel we've made better music," said Partridge, who with Moulding and Gregory is still based in his native town of Swindon in southeastern England, where they live "a ludicrously mundane existence." While he awaits critical and commercial reaction to the group's latest collection of melodic pop, the singer can indulge his hobby-toy soldiers. "All Englishmen collect something, and that happens to be my eccentricity," he said, while complaining that he can't afford anything glitzier. "People think we're rich, reclusive stars, but the truth is simply that we haven't made any money. We got ripped off by a past manager and we're still in the middle of various lawsuits, so we can't afford to live like pop stars. "I'd at least like to be given the chance to drive my brand new Rolls-Royce into my ornamental pool, but unfortunately, I don't possess either."